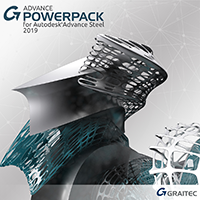 Using the Graitec PowerPack on top of Autodesk Advance Steel, it is possible to automatically add a plate and fold along the selected edge of a plate (with or without an existing fold), allowing you to adjust the angle or radius of the fold as well as adjust the size of the plate itself. 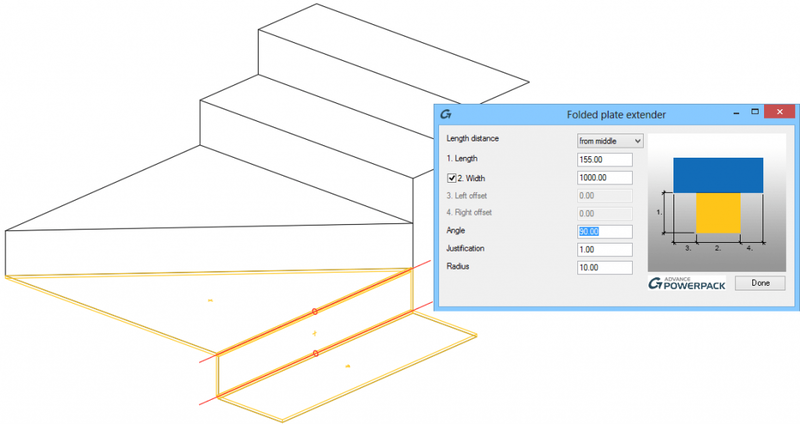 The Folded plate, create fold tool is great for speeding up the creation of complex plate models where many folds are needed, and has many applications such as artistic treads, panels, doors, hoppers, or creating trailer boxes and chassis. 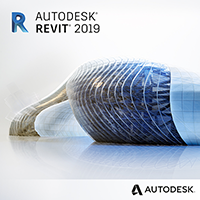 Access the command from the Productivity panel and select the edge of a plate: another plate and fold are created along the selected edge, thus speeding the modelling process. 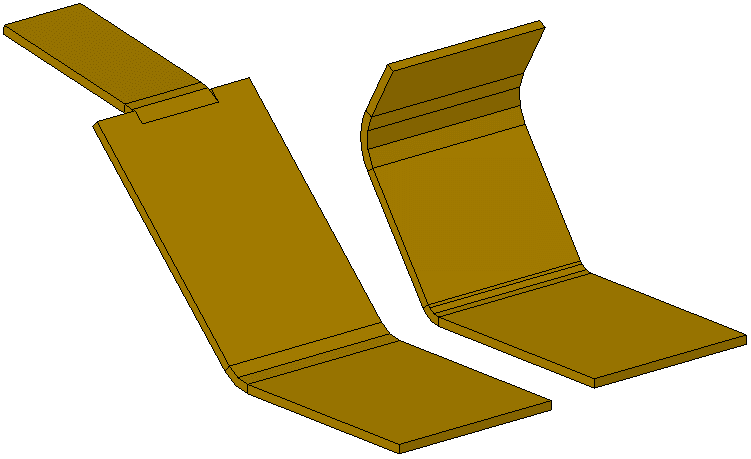 After the new plate and fold are created, the Folded plate extender dialog appears, allowing the user to adjust the folded plate extender properties: the fold position (from inner, from middle, or from outer), the plate length and width, the angle between the second plate and the plane of the first plate, the position of the bending center, and the bending radius. Only the length of the plate or the side that is not connected to the fold can be adjusted using grid points. 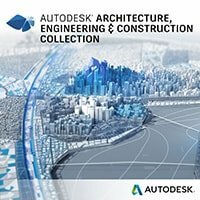 If both dimensions need to be adjusted, the plate must be deleted and the command reapplied.